Hey-o! I’m back with a new shop recommendation for you Why? Because I have no class to attend lately. And what’s better thing to do if you’re in home alone than do a window shopping? And of course the online shopping itself :D I’m too lazy to clean my room, or trying new recipe in the kitchen. But I don’t want to stay in bed all day. So of course I’ll go window shopping. And it’s such a really great feeling if you found new store that sell so many cute stuffs with affordable price. The name is www.ericdress.com. Give it a try and visit them. 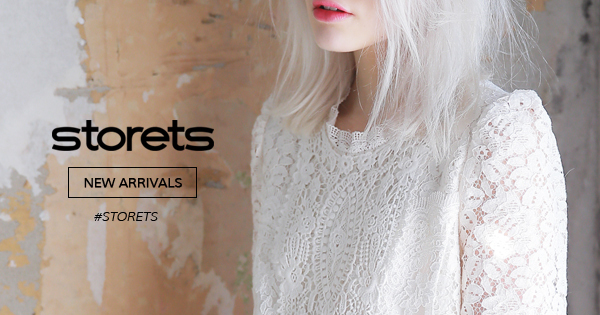 You’ll find so many cute outfit there that you’ll want to have it in your wardrobe. My favorite is their sweater dresses. You can check their collection www.ericdress.com/list/cheap-sweater-dresses-102049.Trust me, you'll love it. So you know autumn and winter is coming. Soon. And you know how I like to wear something colorful. But when it comes to these seasons, I always find basic colors in every store I visit. Red, black, white, brown, grey. It’s so rare to find something in pink or yellow. And it annoys me to no end because I can’t wear some colorful dresses in winter like when I did in spring and summer. Well I could wear the summer dress in winter but I’ll end up in hospital because the weather will freeze me to death and I would never stop sneezing. I hate that I’m easy to catch a cold. 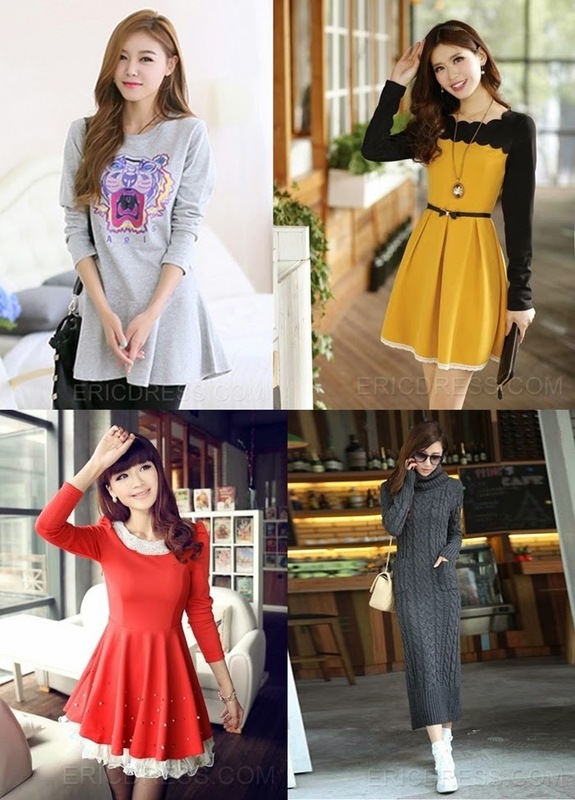 So a sweater dress is a perfect outfit to wear in winter if you want too look girly (I always want to look girly :D). Because it’s a dress and the material is knitted or thick to keep you warm. And ERICDRESS has so many pretty colors. omg!all of them are great!! my favorite is the first one! ;) kisses! Thanks for stopping by my blog! I am now following you on GFC and Bloglovin too! Let me know if you want to follow each other on Twitter, Facebook, etc. Love the sweater dress in the last picture! Thanks for stopping by! So cute, I really love the outfits!!! Elegant and lovely!! Love the sweater dress a lot ! So cute and pretty.. This is the first time I've heard of ericdress. Their items are really pretty.